Yes, it is true that a certain amount of humidity in the air can be healthy. But what most people don't know is that the range of healthful humidity is fairly narrow. When dampness in your indoor air escalates, you open yourself up to some of the most virulent health issues caused by poor indoor air quality. 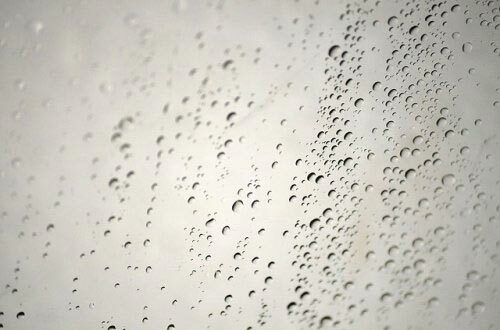 In this post, learn how to safely control the dampness of your indoor air. The current recommendations for relative indoor air humidity in Canada is between 30 and 50 percent. When humidity in your indoor air rises above 50 percent, it can become toxic. According to the Canada Mortgage and Housing Corporation (CMHC), the simplest and cheapest way to measure the level of humidity in your indoor air is to use a hygrometer. A hygrometer is a device that measures moisture. There are two basic types: electrical and mechanical. Mechanical hygrometers are cheaper and can be more reliable (in that they don't need electricity to function). But either will work perfectly well and are available in most pet, hardware, and home supply stores as well as online. Since a hygrometer is a small handheld device, it will be able to give you an accurate readout of the percentage of dampness (humidity) in different areas of your home. The one caveat is that placing a hygrometer too close to a source of heat (chimney, fireplace, radiator, heater, etc.) could affect its accuracy. All you need to do to get a readout is follow the manufacturer's instructions to initially calibrate your hygrometer (if any) and then place it in the area where you want to measure the amount of humidity in the indoor air. It really is that simple! There are also some visual cues you can look for in and around your home to determine if you have excessive dampness in your indoor air. Also, if you or other family members experience an increase in breathing problems or allergy symptoms, especially related to sinuses, asthma, or coughing, this can be a sign that the dampness in your home is reaching toxic levels. With spring already here and the heat of summer on its way, this is the perfect time to begin measuring the dampness in your indoor air and making plans to reduce it as needed. With climate change and ongoing changes to global weather patterns, it is becoming harder to predict what to expect as each new season arrives. This makes proactive personal monitoring of indoor air conditions more important than ever before. The good news is, if you discover that your indoor air at home is damper than is wise for the health of you and your family, there is much you can do to reduce your risk. Install fans for extra ventilation in damp-prone rooms (often the bathroom, laundry room, and kitchen areas). Re-do the seals around your tubs, sinks, showers, and other water fixtures to prevent moisture from leaking out and causing the growth of mould and mildew. Add dehumidifiers in particularly damp-prone areas (attics, basements, and bathrooms are common places). Do a home walk-through to identify areas where you think mould or mildew may be growing. Clean and disinfect those areas as best you can to prevent it from spreading. The best way to tackle health- and property-damaging indoor air dampness once and for all is to take a longer-term approach. Here, you are no longer just tackling emergency issues and applying spot fixes, but wiping out the problem at the root. First, schedule an indoor air quality assessment. This assessment will tell you more precisely than any store-bought hygrometer how high your indoor air humidity level is and also what other toxins may be present. Next, schedule a duct cleaning. Cleaning out the duct system through which your HVAC system operates can remove the vast majority of recirculating toxins in your indoor air, including dust, dust mites, pollen, mould and mildew spores, and more. At the same time, have your dryer vent and your mattresses cleaned. This will remove 99 percent of the household dust mites as well as other recirculating toxins. Install a heat recovery ventilator. This will prevent contaminated air on its way out of your home from mixing in with fresh air on its way in. Upgrade your air filter to a central HEPA-certified filtration system. HEPA filters catch 99.9 percent of the toxic particulates contained in recirculating air, ensuring they will never enter your lungs! Install a whole-home air purifier. These systems destroy mould and mildew and use a self-cleaning technology that requires no ongoing maintenance.